Custom Insulated Ceramic Mugs, Personalized in Bulk. Promotional, Inexpensive. 11 oz. Best price in America. 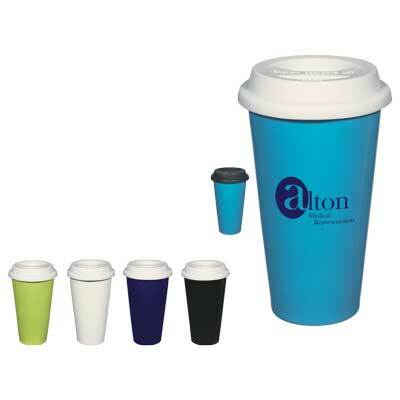 Bulk personalized Insulated Ceramic Mugs with double wall insulation will keep your drink hot or cold for a long time! We also supply wholesale blank (not imprinted) Insulated Ceramic Mugs at EQP (End Quantity Price). Budget Prices in USA and Canada for wholesale promotional Insulated Ceramic Mugs. American clients pay no taxes.